Well done to the following recipients this week ! 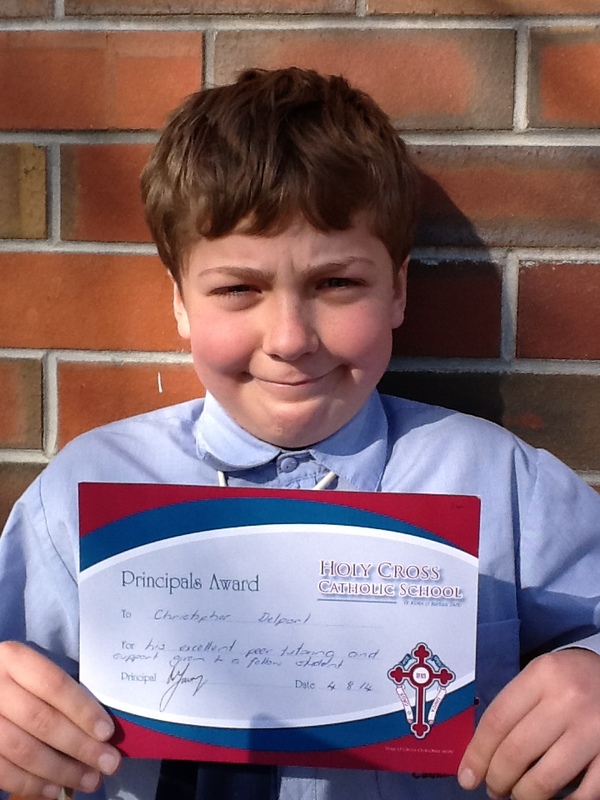 Christopher Delport – for his excellent peer tutoring and support given to another student. Leah-Jane Sione – for her ongoing service to Room 14. Johnny Mayerhofler – for his wonderful ideas in preparing his written language. 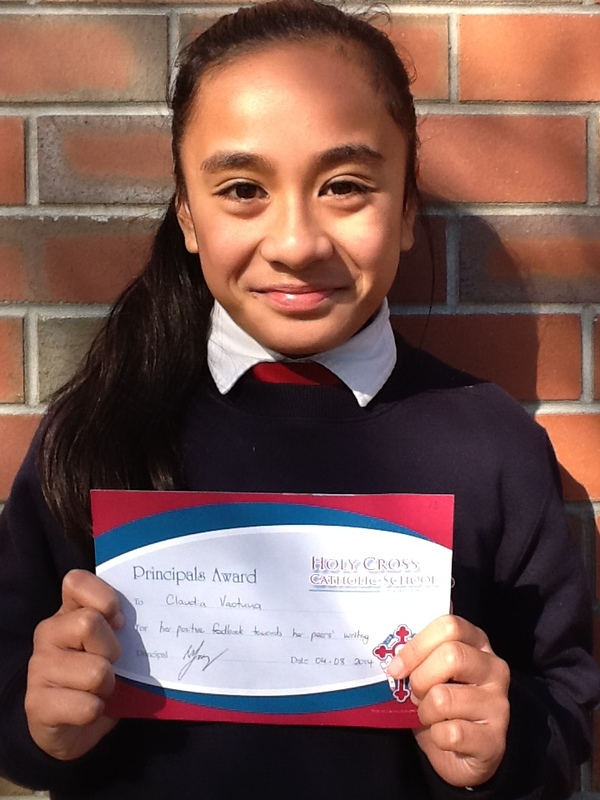 Claudia Vaotuua – for her positive feedback towards her peers’ writing. Isabella Mann – for trying hard with her Maths and helping others in her group. 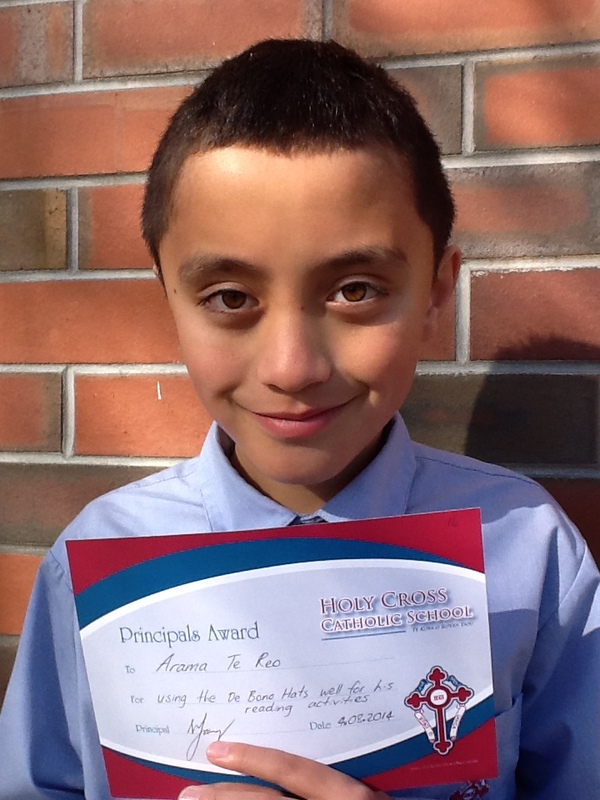 Arama Te Reo – for using the De Bono Hats well for his reading activities. Jayda Matara (Room 15) – an excellent book week entry.